ORTELIUS, A. - Gallia Belgica. 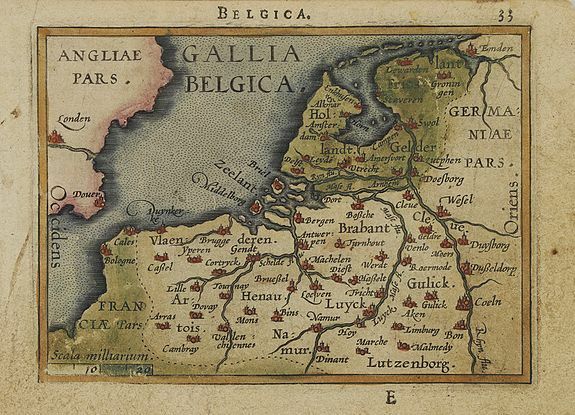 Gallia Belgica. - ORTELIUS, A. Size : 3.0 x 4.3 inches. / 7.7 x 11.0 cm. Description :Miniature map covering Belgium and the Netherlands. The map is beautifully engraved with stippled seas. Hard to find now-a-days in original colours. Condition : Paper age toned.